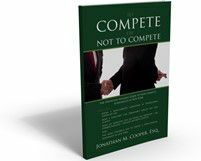 But there is almost no question that companies looking to protect their most valuable interests - typically their client lists and employee roster - are much better-served by narrowing - rather than expanding - the non-solicit and non-compete clauses in their employment agreements. Please, don't take my word for it; just read this decision that was handed down from a Suffolk County trial court a few years back. In RMS Holdings v. Fujita, the plaintiffs - defendants' former employers - sought damages for breach of the defendants' employment agreements, claiming that defendants had violated their non-solicits and non-competes (or, in legalease, "restrictive covenants") by forming a competing insurance agency that attempted to poach the plaintiff's' other employees and, more importantly, clients. The defendants promptly moved to dismiss the complaint, arguing that the plaintiffs were missing some key elements to their claims, including 1) the plaintiffs' clients were readily discoverable, and thus, not a "trade secret"; and, 2) the plaintiffs did not even claim that the defendants had engaged in any "wrongful acts" that induced any of plaintiffs' clients to break their agreements with plaintiff, and therefore, could not be held liable for tortious interference with contract. Justice Pines of Suffolk County denied the defendants-employees' motion to dismiss their former employer's claims. In fact, that branch of the employees' motion seeking to dismiss the employer's request for an injunction, i.e., an Order barring them from continuing their solicitation of the plaintiff's clients and current employees, was denied as well. And yes, both prongs of the motion were denied - despite what appears to be some meritorious defenses raised by the defendants-former employees. Although New York's courts generally look to invalidate non-compete agreements, in this case the Court went out of its way to hold that the plaintiffs' claims should survive dismissal (at least at this introductory stage of the commercial litigation) because the non-solicitation agreement that the defendants-employees signed was not overly broad, and was legitimately tailored to protect the plaintiff-employer's proprietary interests. "It is undisputed that defendants executed the employment agreements which contained the restrictive covenants, which, essentially, limited them from soliciting any of plaintiffs’ customers or employees for a period of one year (for Fujita and Wahl), and two years (for Luhrs). The Complaint alleges that defendants actively solicited RMS customers and employees in violation of the agreements and restrictive covenants contained therein. The Court finds that the restrictive covenants were narrowly tailored to protect plaintiffs’ legitimate business interests and neither prevent fair competition nor defendants’ ability to earn a living. Moreover, the allegations that defendants formed a competingcorporation while employed by RMS and contacted plaintiffs’ customers are sufficient to state a cause of action for tortious interference with business relations." In other words, despite missing (what may be considered) critical elements to their case, the Court chose to overlook them because the plaintiffs crafted the employees' agreements narrowly - limiting them to protecting the company's legitimate business interests. There is an unsung "hero" in all this - the person at the company who acted wisely - and probably paid a little more money up front - to have a competent attorney draft their non-compete agreements. That modest investment a few years back likely saved them untold sums of money years later, when litigation became necessary to protect their company's vital interests. Post a Comment to "How Smart Companies Protect More By Narrowing Non-Competes"